Grand inauguration of the highest skyscraper with a twist of 90 °. 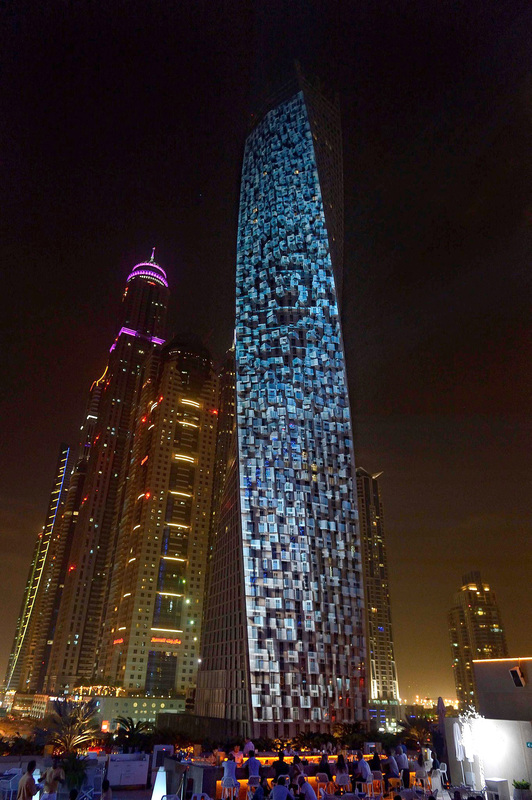 The Cayan Tower is 303 metres high and is the achievement of a goal pursued in defiance of the world of architecture. The video mapping was carried out by coordinating a working group extended and deployed in a wide geographical area (Dubai , London, Rome , Milan and Cremona ) in a synergy capable of amplifying the impact and spectacular nature of the contributions of each motion graphic artist . The production time was extraordinarily compressed to be able to meet the needs of the customer. The show was made with a total of 18 projectors.